The first publication from the ZEN network is published online at Ecology Letters! Results of our first ZEN experiment from 2011 are now published online at Ecology Letters! See the press release on our blog here. To learn more about this work head over to our blog! 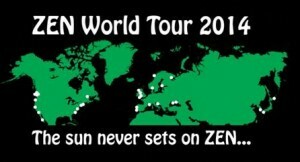 The ZEN class and internship program is featured in a new article by VIMS News and Events! Friends of San Diego State’s Coastal and Marine Institute Laboratory newsletter features a story about the ZEN class – Finding Enlightenment Through Seagrass. 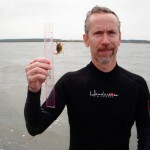 ZEN program awarded 3-year grant to continue collaborative research on the global biodiversity and functioning of eelgrass ecosystems. Dr. Emmett Duffy, along with colleagues Drs. Jay Stachowicz and Kevin Hovel, were awarded an NSF Biological Oceanography grant (1336206) for 2013-2016 to continue the ZEN partnership. The main goal of this second generation of the collaborative ZEN program is to characterize, in unprecedented detail, how environmental forcing, biodiversity, and food-web processes interact to mediate functioning of a coastal ecosystem on a global scale. 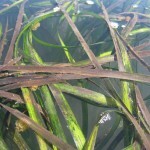 In summer 2014, ZEN partners at 52 sites in 15 countries will conduct parallel, standardized field sampling of producer and consumer biomass and diversity, and measure grazing and predation rates, to produce a global map of biodiversity, biomass distribution among trophic levels, and ecosystem processes in eelgrass (Zostera marina) habitats. In subsequent seasons, partners at a subset of core sites will conduct factorial experiments to characterize the interaction of nutrient loading, predator loss, and biogenic habitat structure in mediating producer growth and trophic processes in eelgrass. All original ZEN partners (except for one) have returned for “ZEN2″ and are joined by 12 new primary partner institutions. 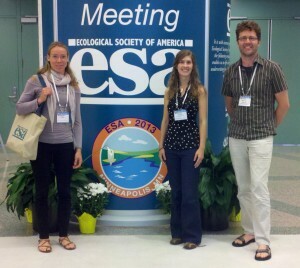 We are very excited and can’t wait to work with this expanded team of seagrass ecologists! For more information on the returning and new ZEN partners, check out the ZEN partners section. To learn more about the grant and our research plans, check out the NSF award abstract. 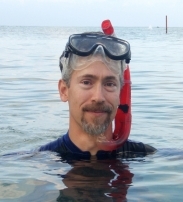 Emmett Duffy has been appointed director of the Smithsonian’s Tennenbaum Marine Observatories! This new project, funded by Suzanne and Michael Tennenbaum (senior managing partner of Los Angeles-based Tennenbaum Capital Partners and philanthropist) provides $10 million in support for long-term studies of coastal marine biodiversity and ecosystems around the globe. Check out the Smithsonian press release, here. This is a very exciting opportunity, both for Emmett and the future of marine ecology research as well as the next phase of the Zostera Experimental Network! This honor was established by the State Council of Higher Education for Virginia to recognize faculty excellence in teaching, mentorship, research and service. In response to receiving this award Duffy says, “It’s a high honor … and very humbling, following in the footsteps of the distinguished previous recipients. I also appreciate the recognition of how important our work at VIMS is in preparing the next generation of leaders in environmental science, and in providing the applied knowledge needed to meet the challenges facing society.” Read the full story on the VIMS website. The ZEN team in San Francisco was featured in the magazine Estuary News. Click here for a pdf of the article (November 2012 issue, on page 4), produced by the San Francisco Estuary Partnership. The ZEN project was recently featured on the Finnish news! 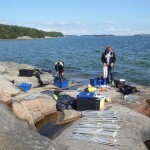 Check out the link to see ZEN partners Christoffer Bostrom and Paul Richardson talk about eelgrass science (segment starts 10 minutes in): http://arenan.yle.fi/tv/1617919. 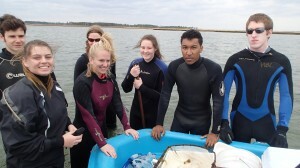 ZEN researchers discuss the critical ecological and economic role of seagrasses, and the threats facing them today in areas such as the Chesapeake Bay, Virginia, where eelgrass cover has declined by 90% compared to historical levels. 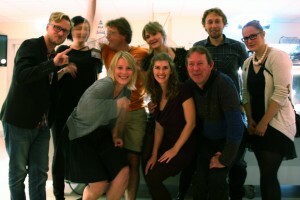 Read about Paul’s experience working with the ZEN team in Finland on the ZEN blog. Over 30 ZEN participants (professors, postdocs, technicians, and graduate and undergraduate students) presented their science and met for a ZEN workshop at the annual Benthic Ecology Meeting (BEM) in the beautiful and snowy Quebec City, Canada. At our meeting we discussed the results from last summer’s ZEN experiments and our upcoming research plans for this summer. We are grateful to BEM co-chairs Mathieu Cusson and Ladd Johnson, for organizing a great conference and their assistance in making our ZEN workshop a success! 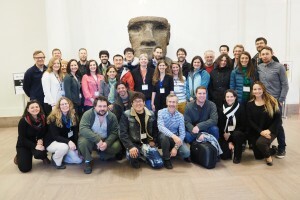 The second generation of the ZEN program held its first working group meeting and research conference at the Smithsonian’s Natural History Museum in Washington DC in March, 2014. Key presentations at the meeting included an overview of the ZEN program by Emmett Duffy, an orientation to the Science of Team Science by Pamela Reynolds, biodiversity by Jay Stachowicz, and habitat complexity by Kevin Hovel, as well as invited oral and poster presentations by returning and new ZEN partners from almost every ZEN partner site. Partners presented on research related to the primary goals of ZEN and discussed logistical details and new directions for the partnership. 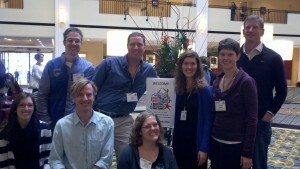 To learn more about the conference, check out the post in the ZEN blog. 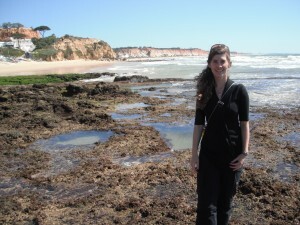 Pamela Reynolds gave a keynote presentation featuring research conducted by the ZEN program at the final COST Action Seagrass Productivity: From Genes to Ecosystem Management conference in Olhão, Portugal in March, 2014. 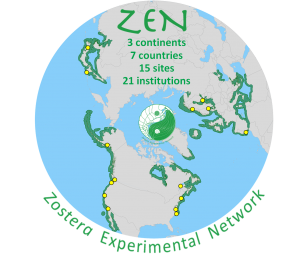 Pamela Reynolds presented on ZEN research at the Ecological Society of America Meeting and caught up with other ZEN partners in Minneapolis in August, 2013. 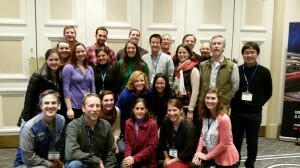 Pamela Reynolds presented a talk on the emerging results of the ZEN project at the 2013 Benthic Ecology Meeting in Savannah, GA at the end of March. Emmett Duffy spoke at the Western Society of Naturalists’ Presidential Symposium in November, 2012, in Monterey, California. 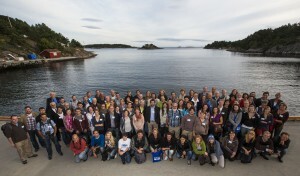 Pamela Reynolds presented on international seagrass science during a special session at the European Marine Biology Symposia in Arendal, Norway in September, 2012 . 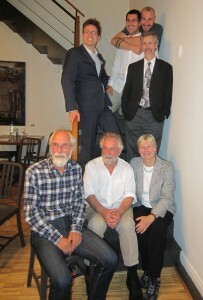 Emmett Duffy presented a seminar at the University of Gröningen, Netherlands, in September, 2012. 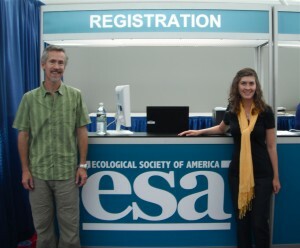 Emmett Duffy, Pamela Reynolds and several other ZEN partners presented at the Ecological Society of America conference in Portland, Oregon in August, 2012.